Helping hogs in distress, housing, transport, feeding etc. can be not only very time-consuming but it gets expensive. Friends give their time and transport with a willing, loving heart and I thank every one of them. Please bear in mind that we may be unable to answer the phone at times and we may miss voice messages so if you need us, leave a text message and we will get back to you as soon as we can. Please be aware that we DO NOT re-home wild Hogs as pets. Wild hedgehogs,as well as other wildlife, are protected and endangered in Ireland. It is ilegal to have a wild casualty in your care without a wildlife rehabilitation license. Should any of our Hogs be unfortunately unable to return to the wild, they are kept safe here in a secure environment under NPWS License. 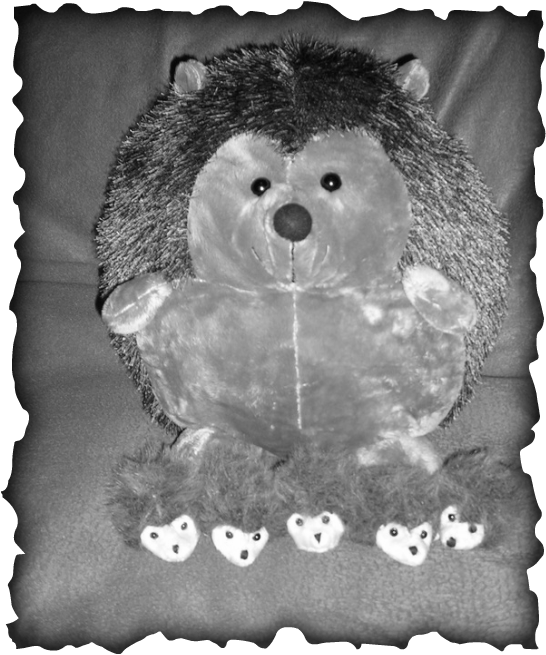 Night vision captured this huge hog and hogletts of the rare Hug Hog - these are the only hogs that don't hurt when hugged.